Next time you get the tail. Still a good shot. The wind was blowing PLUS the tail is like ten times the length of the body, enough to confuse even the most dedicated bug-admirer (of which you are surely one). 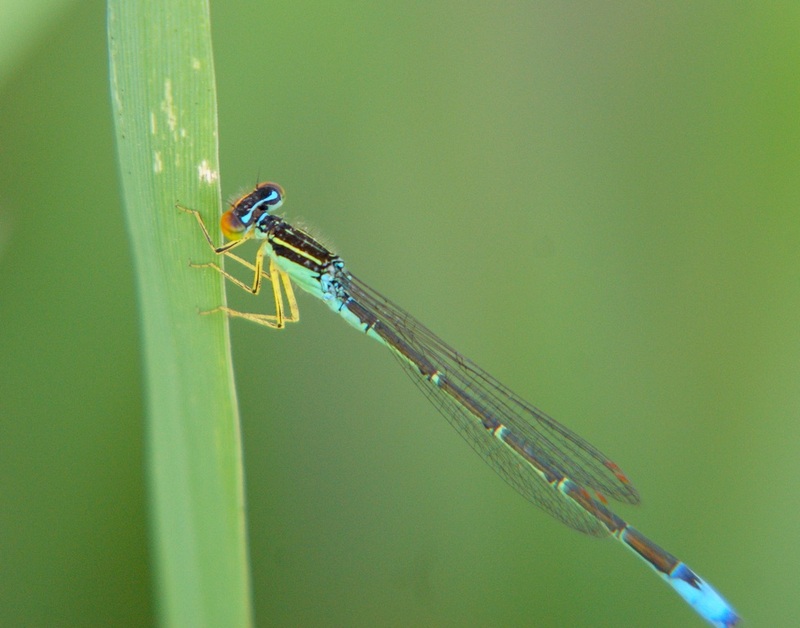 Fascinating critter, your Rainbow Bluet, Misty. Good work. This is one beautiful fellow even if a bit of the tail is missing. I would know have even noticed it. The capture is awesome. No wonder you were so happy to see and photograph him. Fab macro. Wonderful macro - beautiful details. LOVE the colors on the damselfly! Very nice! Amazing colors...I know how you anticipate dragon flies. Winter Past is my link to Macro Monday. Do stop by when you get a chance. I'd love your company. Have a great week. beautiful capture...love the intense blues and greens...the tend to come visit here in August...like fairies on an annual pilgrimage! 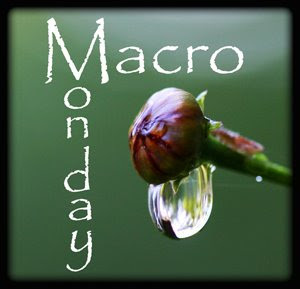 Fantastic macro shot! I love the blue shining color! Goodness!! Absolutely fabulous. I must show my son as he adores dragon flies. Hmm...let me think...I'm not sure if I knew this. lol:) It is such a joy to hear your enthusiasm, Misty.